Barely two years after it was launched as the Kapatid Network under the chairmanship of Manny V. Pangilinan, TV5 has garnered awards and outstanding recognition for its innovative shows and noteworthy talents. Not only is the country’s fastest growing network figuring more among local award-giving bodies, it is also gaining international recognition. 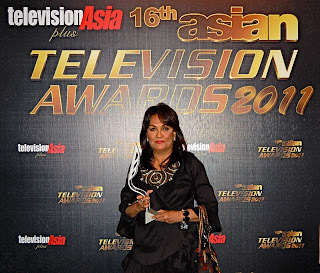 After being the Philippine broadcast network to receive the most number of nominations in this year’s Asian TV Awards, TV5 bagged its first Asian TV Awards trophy for Star Confessions in the awarding ceremony held recently at the Shangri-La Hotel in Singapore. Hosted by “mother of showbiz talk” Cristy Fermin, Star Confessions (now airing as Real Confessions) won the Best Theme Song category for its official soundtrack “Ito ang Buhay Ko” (This is My Life), beating five other theme songs from Malaysia and Singapore. The song is a composition of Boy Christopher Ramos. Star Confessions production unit manager JoAnn Bañaga personally received the award for the program. After 16 years of recognizing the best programs in Asia, the Asian TV Awards 2011 introduced the Best Theme Song category under the Technical and Creative categories, making TV5’s Star Confessions the first ever to win the trophy. As the most competitive Philippine TV network in this year’s Asian TV Awards with a total of three nominations, TV5also competed in two other categories – Best General Entertainment category for Talentadong Pinoy and the Best Comedy Programme category for Lokomoko.